Sometimes you need more than a shovel and a wheelbarrow. 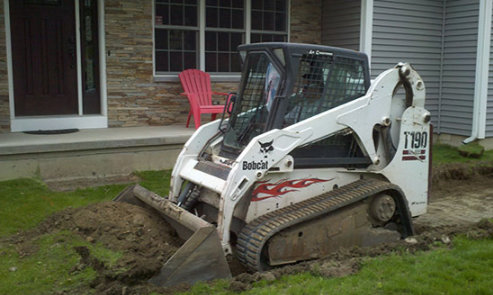 When you need the job done right and quickly, use our top notch Bobcat Service. 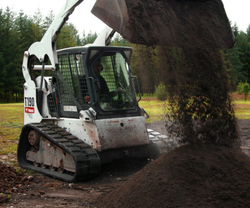 We have been using our Bobcat Fleet to knock out the big jobs for many years. You will be amazed at how fast a Bobcat can knock off even the biggest projects. Make sure you ask us about our 4 hour Bobcat special. Many customers are amazed at our service rates for this job. If you have been "Dreaming Big" but thought that your dreams were too big, let us show you how a Bobcat Service can make any big job a small one.